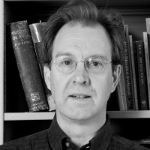 James Allen’s research interests include ancient Greek and Roman philosophy. “Aristotle on chance as an accidental cause”, in Aristotle’s Physics: A Critical Guide, ed. Mariska Leunissen (Cambridge University Press, 2015). “Practical and theoretical knowledge in Aristotle”, in Bridging the Gap between Aristotle’s Science and Ethics, eds. Devin Henry and Karen Margrethe Nielson (Cambridge University Press, 2015). “Aristotle on the value of ‘probability,’ ‘persuasiveness’ and verisimilitude in rhetorical argument” in Probabilities, Hypotheticals, and Counterfactuals in Ancient Greek Thought, ed. Victoria Wohl (Cambridge University Press, 2014). “Pyrrhonism and Medicine”, in The Cambridge Companion to Ancient Scepticism, ed. Richard Bett (Cambridge University Press, 2010). “Aristotle on Disciplines of Argument: Rhetoric, Dialectic, Analytic”, in Rhetorica: A Journal of the History of Rhetoric, Vol. 25, No. 1 (Winter 2007). 87-108. “Dialectic and Virtue in Plato’s Protagoras”, in The Virtuous Life in Greek Ethics, eds. Burkhard Reis and Stella Haffmans (Cambridge University Press, 2006). ‘The Stoics on the origin of language and the foundations of etymology’, in Language and Learning: Philosophy of Language in the Hellenistic Age, eds. Dorothea Frede and Brad Inwood (Cambridge University Press, 2005). Inference from Signs: Ancient Debates about the Nature of Evidence (Oxford University Press, 2001, 2008). “Carneadean argument in Cicero’s academic books”, in Assent and Argument, eds. Brad Inwood and Jaap Mansfield (proceedings of the 7th Symposium Hellenisticum, Utrecht, August 21-25, 1995; Brill, 1997). “Academic Probabilism and Stoic Epistemology”, in The Classical Quarterly, Vol. 44, No. 1 (1994). 85-113. “Failure and Expertise in the Ancient Conception of an Art”, in The Society for Ancient Greek Philosophy Newsletter, No. 324 (1989).